Knowing and understanding your staff and how your practice operates is the critical first step. How large is your organization? Are you owned by or affiliated with a health system or hospital? What is your medical specialty, or are you a multispecialty clinic? Do you prefer having your billing staff complete your financial operations or are you comfortable outsourcing those to another company? Taking a good look in the mirror and intricately understanding how you operate is key to finding the right EMR system and provider. Another crucial thing to understand is that an EMR system is not simply something that is dropped off at your doorstep. 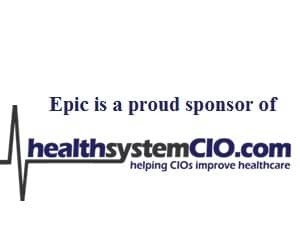 It brings with it a partnership between your organization and the EMR vendor. This partnership begins with your initial communication with the vendor and will continue for years to come through the purchase, implementation and installation, training, product upgrades, and continued maintenance and support. Take the time to get to know the company’s staff and culture and ensure that you are comfortable establishing a long-term partnership. Remember, you will be acquiring a partnership, not just a product. The EMR and technology are the next big considerations. Be sure to ask questions about workflow adaptability, template customization, and content. Take the appropriate time to see the EMR in use and to talk with other practices that have it. Ensuring that the EMR system will adapt to your needs and to the way your organization operates will create a much greater possibility of long-term success. Most EMR vendors also offer a practice management system as well. So if having a practice management and EMR system from one company is important to you, be sure to ask about this. From a technology-deployment standpoint, there are two basic models: client server (C/S) and remote hosted. In short, C/S means that the server and product are locally housed within the four walls of your organization. The remote hosted model means that a third-party company (typically the EMR vendor) houses and maintains the server and your organization accesses the EMR system via the Internet. Understanding your comfort level with and the pros and cons of both models will help you make the right decision. The quest for the right EMR can be tedious and grueling. But the investment of time and energy on the front end to understanding the market, companies, and EMRs can pay large dividends in the long run. For more information on EMR vendors and to hear from your peers, visit KLASResearch.com.